Boston Balloon Factory creates beautiful balloon bouquets designed to give as a gift or to jazz up any party, event or wedding. We create balloon bouquets to match any style, color scheme, height and size. Same Day Delivery Available! Call us today. 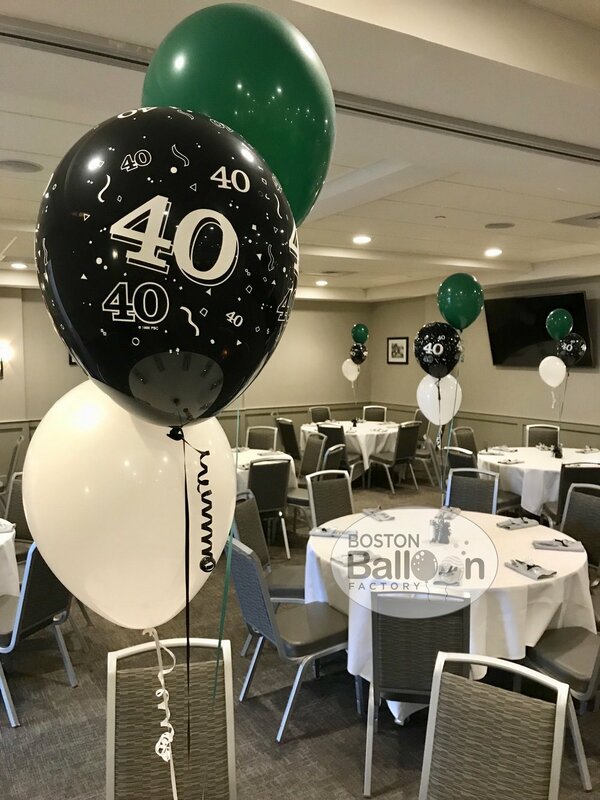 At Boston Balloon Factory, we are proud to offer fully personalized balloon bouquets to customers throughout Greater Boston. Whether you want to give one as a gift or use bouquets to jazz up your event, we are to help! Call us today at (781) 956-9836 to learn more or order your balloon bouquet. Balloon bouquets are a nice way to give as a gift or jazz up any event. They can be customized to fit your theme or color scheme. The height can be adjusted to sit on the floor or table. Balloons come in many different colors and sizes. The most popular are 11 inch. You can also add any theme foil balloons, squiggle balloons or quads to any bouquet. Our most popular balloon bouquets use 11-inch balloons, but we can adjust the height to meet your needs. We can customize your bouquet to match your theme and/or colors, and we can even include any of our special balloons, such as our popular themed foils or fun squiggle balloons. Call Boston Balloon Factory today at (781) 956-9836, and we will help you craft the perfect one of a kind balloon bouquet!